The Tradie Confidence Index (TCI) tracks the confidence of self-employed tradies in the Australian building and maintenance industry. Participants are asked six questions each quarter, and the results enable us to see if tradies are feeling positive or negative about business conditions. The TCI was launched in 2017 and our first three quarters of results can be viewed here. 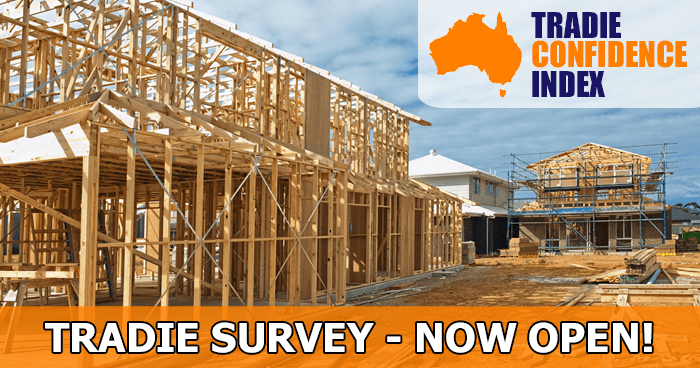 If you are a self-employed tradie and would like to participate in our January – March 2019 survey, please click here.